Why Doesn’t Traditional ERP Fit Dairy? Dairy is not a discrete industry nor is it a process industry like the beverage industry. It is batch process, a hybrid of both. I firmly believe that if your software vendor describes the product formula as a standard bill of material, it is an indigent choice. Ultimately, it won’t fit or give you the information for accurate costing of your products. Butterfat is not an item number. The most common method of trying to accomplish dairy costing in a traditional ERP system is to set up an item numbers for butterfat, one for protein, etc. Sometimes people end up with Class I butterfat or cream butterfat, etc. The reason being, that without giving a separate item number, you can’t cost the dairy liquid. This creates a lot of extra product formulas with countless detail records, this forces you to revisit how to create meaningful reports at the sub-assembly level for them to make sense to a user. Next you have to deal with item substitutions in a method that makes sense. If your product calls for butterfat, what do you do if the product is made with butterfat from cream? In a large sense these item transfers require personnel time and effort that really does not provide value, but is required for the ERP system to balance and provide any realistic information. Dairy pricing and timing – so many ERP systems have to know the price of the product at the time it is ordered for the system to be able to cost the item. As we all know this is not the case in dairy. There are plenty of instances where the product is sold to the customer before the cost of the dairy liquid is known. In a traditional ERP, these are captured as pricing variances that then flow through costing in a variety of mechanisms. Some are quite sophisticated, however, at the end of the day this is more work than value. The whole point of the ERP system is to provide better information without adding extra staff. In our next newsletter I will discuss how our manufacturing systems deal with the three key aspects that make dairy so unique. The nature of dairy as a “batch” process industry versus discrete or process industry. Use of item codes to describe product attributes – while butterfat and non-fat solids are a part of cream they are not separate item codes for inventory or costing purposes. Dairy Costing 101 – with several class prices not being known until after the month is over, it is difficult at best to know what it costs to produce your product. In this article, I will describe how DSI handles these important but unique aspects that make dairy so difficult for software systems to track and support. We realized long ago there were two pieces to the dairy manufacturing process. The first is what we call the hard side inventory items (plastic caps or packaging). This side can be handled by most ERP systems that allow users to update formulas with actual production. The second piece that is unique to dairy and represents 60% – 85% of the product cost is the dairy liquid side of the equation. Dairy liquids are always different run-to-run and these differences should be captured and used for shrinkage, yield and costing to get a true picture of a plant’s efficiency. Dairy liquids are also unique because the actual tests for most runs of dairy liquids are not known at the time of production. This is because the samples have to be processed by the lab; it is often the next day before the test information is available. Many systems can’t function or report accurate production information on the component level. So if there is a shrinkage problem at the butterfat level, it just shows up in the monthly financials and the accounting department starts trying to isolate its product loss in spreadsheets that either go nowhere or are difficult to follow for plant personnel. The DSI system solves these requirements by having separate functions and rules for dealing with dairy liquids and hard side items. We do this behind the scenes to provide a user with a single interface. The great work around in most ERP systems for components is to provide an item code for each component. In DSI’s system, the user can report the amount of milk taken to the filler. We track components as attributes of the dairy liquid and the component test(s). This allows plants to track their product shrinkage at both a total pound and component level. True shrinkage tracking throughout the plant! This is probably the area of the greatest frustration for plants I visit. The accounting department goes about preparing the financial statements. It then invests another three to five business days each month (sometimes much more) trying to create costing for the dairy products because the manufacturing system can’t handle or support dairy costing. Why? The cost of dairy liquids used in production is not known due to timing of the class announcement. The exact quantities used in a batch or day are only estimates from a formula. A pound of butterfat used for a Class I product is not the same cost as a pound of butterfat in Class III. The whole purpose of the accounting department is to analyze the information from the manufacturing system, not create it. The DSI production system has separate functionality for dairy liquid tracking and costing. The system allows users to update both the dairy liquid quantities and tests for a period up to 30 days after the production period month end. This can be done without affecting production or shipping of the product. Furthermore, the costing system allows the user to cost the dairy liquids used on blend, skim/butterfat, or multiple component pricing methods or any combination of these and will compute the FMO class utilization settlement amount for the period, if desired. We do this by allowing costing to be done at the component level within the dairy liquid. Thus, if the butterfat in a run of ice cream mix was made from cream or milk the system will use the Class II butterfat cost plus a premium dictated by the procurement department to determine what the dairy liquid cost was in that mix. The user can then compare the true cost of the dairy liquid to standard costs determined by the accounting department. In light of the roller coaster prices, dairy has experienced over the last few years, this feature is extremely valuable and powerful. The last piece of costing is that users can cost or value their product based on market prices plus a premium and take into account other cost factors such as storage and transfers. This is predominately useful for cheese manufacturers – particularly those that age their product. In summary, the whole point of the ERP system is to provide better information without adding extra personnel. We believe that if you look under the covers of most ERP software you will see what makes DSI’s solution unique and able to provide your company with a quicker return on investment. The final part to this series narrows in on traceability and shrink tracking at the component level. Traceability in the dairy industry starts at the farm level as milk is picked up and brought to the plant. This is where many traditional ERP systems start to lose their traceability on milk picked up from multiple farms. In most cases, the traditional ERP system will assign truck lot numbers to identify individual loads of milk coming into the plant, and ultimately into a silo. Many clients we’ve visited are still tracking multiple load trucks on spreadsheets or by hand rather than using their current software, creating a difficult to follow, time consuming traceability stream. Once an individual dairy liquid (milk, skim, cream, etc) is unloaded into a silo, many traditional ERP systems will force you to unload an entire silo into production at a given time to keep the traceability intact or can’t handle the simultaneous loading and draw from the silo at the same time. The DSI system solves this problem by using time stamps for individual truck loading/unloading and silo draws to produce a true traceability window in which you’re able to recall based upon supplier ticket or by date and time between CIP windows. This information will follow the dairy liquid through the entire production process complete to finished product and by product, allowing for a full traceability stream through the entire plant and anything that the recall could have potentially affected. DSI captures the time stamps from loading/unloading automatically from the receiving bay transactions to know when a pump is started or stopped to obtain reliable information. Furthermore, as technology improves on the floor instruments, many DSI customers now capture and pass along the silo transfer/draw information to DSI to provide true start and stop times. So often, components are the ugly little details that ERP systems/implementers hate. The fact the components are variable with every draw causes components to be workarounds in traditional ERP. Using item codes for Class 2 BFT or Class 3 PRO are common, but it results in components being ‘lost’ in the standardization of the tests for the ERP system to flow data. From a traceability point of view, this is a large gap. Components and where they go, are commingled and used are the key to being able to accurately and timely recall dairy liquids. For example, if there was a problem with whey cream at a plant, what would your ERP system recall? In DSI, we provide methods to track all of the vats that provided the whey cream into a silo and automatically work back to all possible vats providing the whey cream. Furthermore, we can track the vats and the dairy liquids from those vats all of the way back to the raw silos and the possible manifests. This provides the ‘true risk exposure’ as required by the food safety laws in a quick, responsible method. 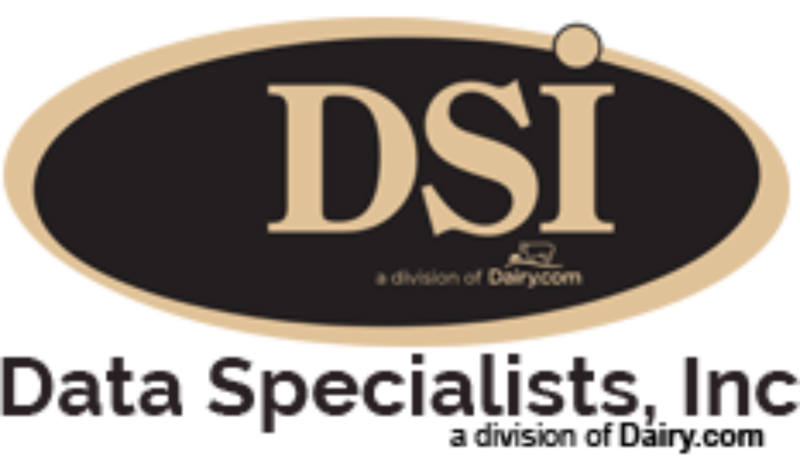 For more information on DSI’s traceability and shrink tracking capabilities and how they might work for your business, please contact DSI’s corporate office and ask for Tom Filak at 262-723-5726.